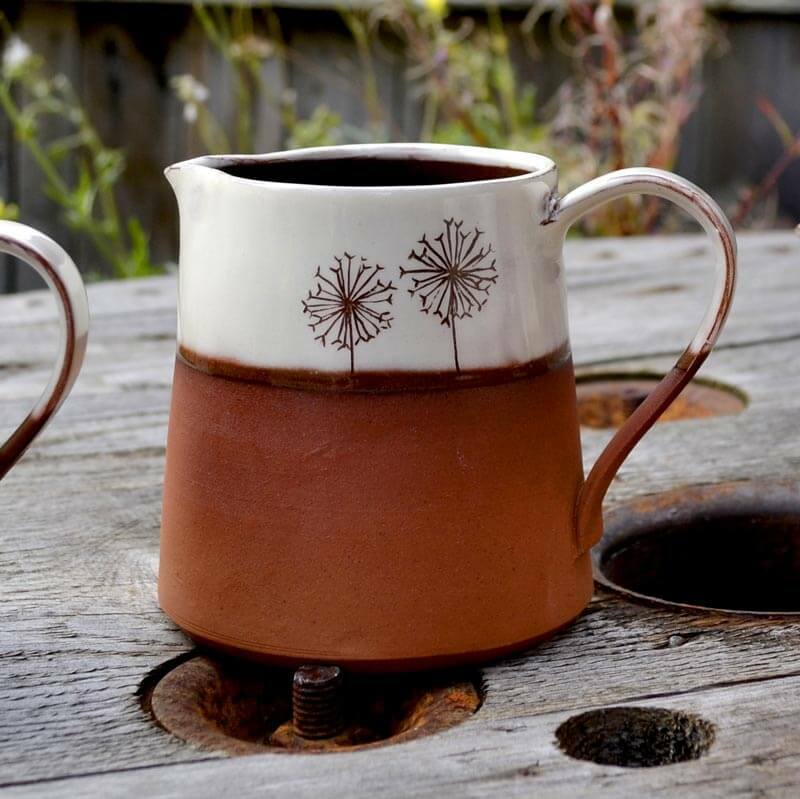 Bring nature to your breakfast table with these earthenware ceramic clay milk jugs featuring a cow parsley, allium or dandelion design by Wendy Calder Ceramics. They look great and they also pour really well (my mother-in-law says it’s the best pourer she has found!). The pieces are thrown on the wheel, the bases are turned when leather-hard and then a pulled handle is attached. White slip is then applied and the scraffito technique is used to produce the images. The jug is bisque fired to 1000oC. A transparent glaze is then applied and fired to 1160oC giving it a lovely toasty red finish. Co-ordinating coffee cups are available. Product may vary slightly from image as each piece is handmade and unique. Jugs hold around 350ml of liquid. Care: Dishwasher and microwave safe, however, Wendy recommends hand washing them with care. 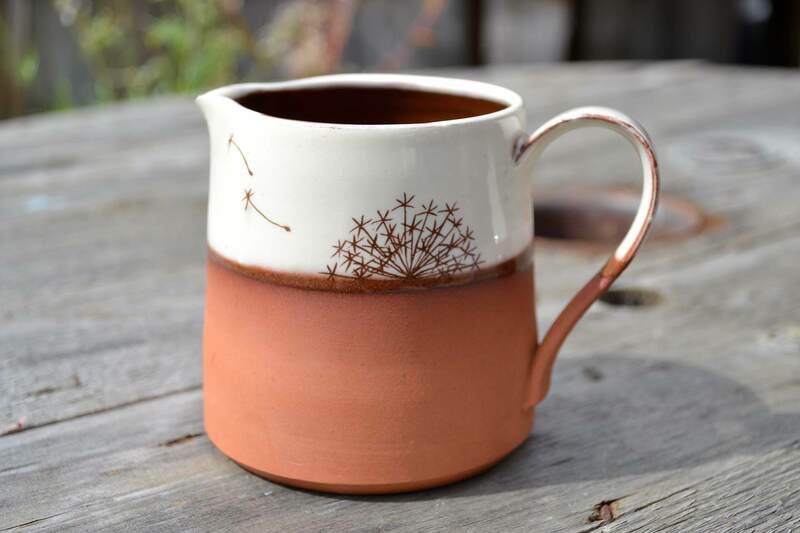 I discovered Wendy Calder’s ceramics at a small craft market in Brislington, Bristol and fell in love with the beautiful cow parsley, dandelion and allium designs. I chose these new ‘scraffito’ two-tone coffee cups and milk jugs for These Two Hands as they are real stand-out pieces to me. 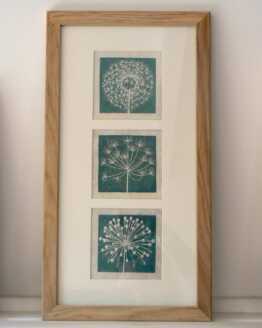 Wendy is inspired by the nature all around her, in her lovely studio garden and in the local nature reserve. 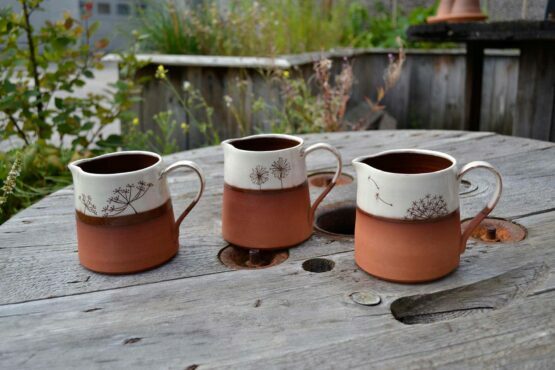 Graduating from Bath Spa University in BA Hons Ceramics, she has been making ceramics since 1996. She runs private pottery lessons and courses (I’m on one at the moment!) and children’s parties. 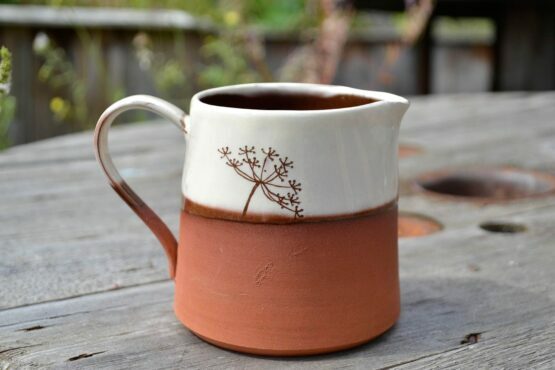 She is someone who makes everyone feel immediately at home with her warmth and generosity and I think her beautiful ceramics create a warmth and happiness in your home as well.